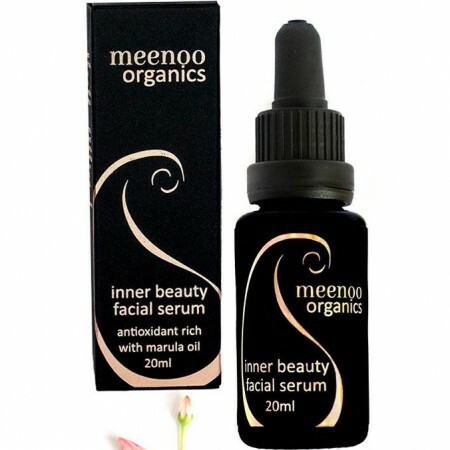 Meenoo Organics Inner Beauty Facial Serum is designed to deliver deep moisture. Combination of nourishing oils to help skin restore balance, radiance and heal from within. Enriched with anti-oxidant powerhouse Marula oil. 20ml. 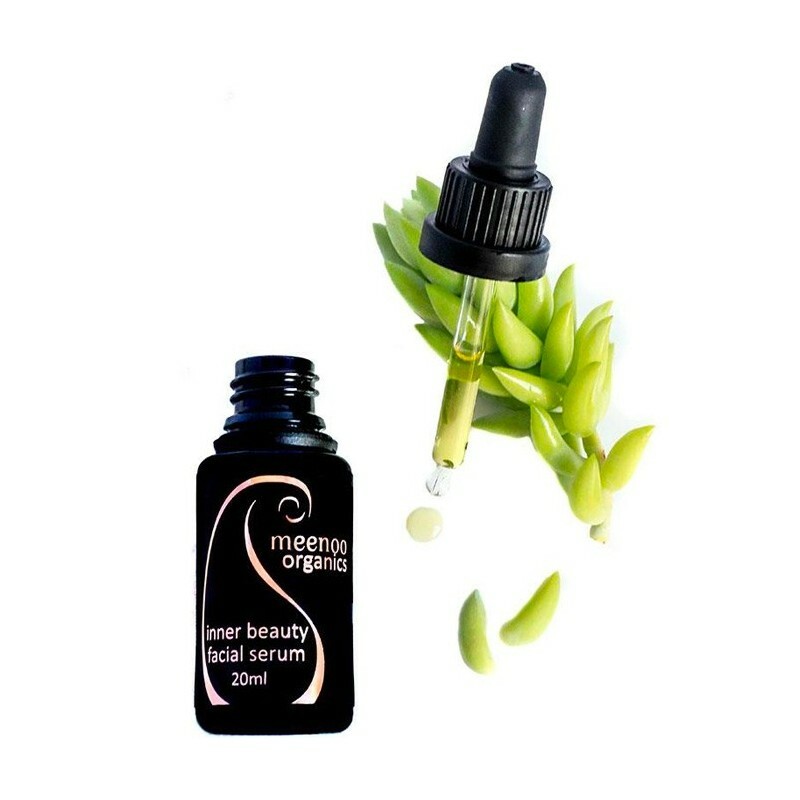 Meenoo Organics believe that nature is all we need to find our skincare solutions. This is why each ingredient's effectiveness has been tested, so only the most beneficial are used to create a potent, natural product. 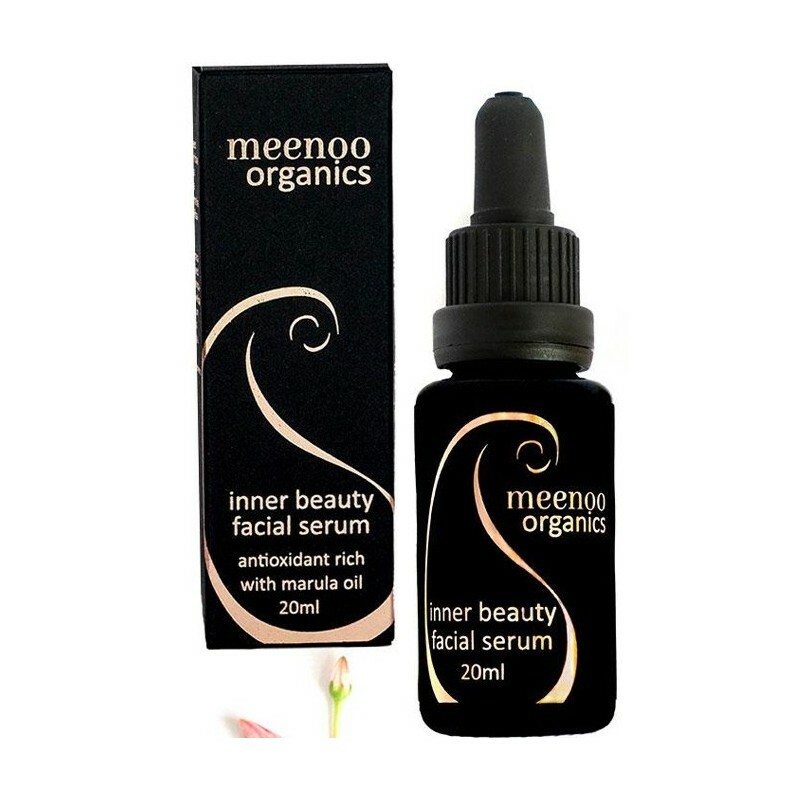 Jam-packed full of antioxidants that help to nourish your skin, Meenoo also makes their formulas by hand, so you know you'll be getting the purest, most potent, natural product. Potent blend of Marula, Jojoba, Macadamia, Tamanu and Rosehip oil to provide deep, penetrating moisture. Marula Oil is naturally anti - inflammatory, anti - microbial, helps with sun damaged skin and boosts cellular activity. Jojoba oil mimics the skins naturally producing sebum and is easily absorbed. Concentrated formular can be used as a night serum or morning and night moisturiser. Suitable for all skin types, particularly for normal to oily skin. Store below 30 degrees in a cool dry place away from direct sunlight. 20ml glass bottle with dropper.